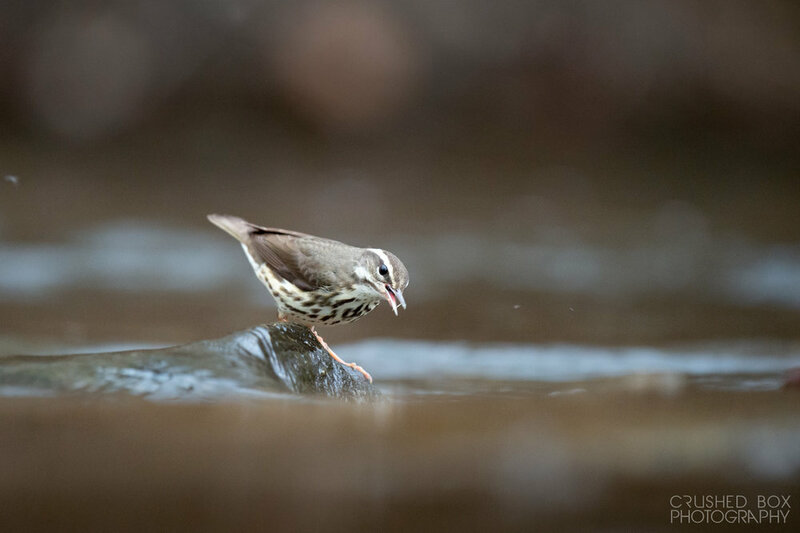 My first attempt to find and photograph a Louisiana Waterthrush and I was unbelievable lucky. I had done some quick research on eBird to find a spot with potential. I showed up at the location a bit before sunrise with the hopes of finding one. I parked my car, grabbed all my gear and started to hike into the forest. As soon as I entered the trail I heard a loud call. 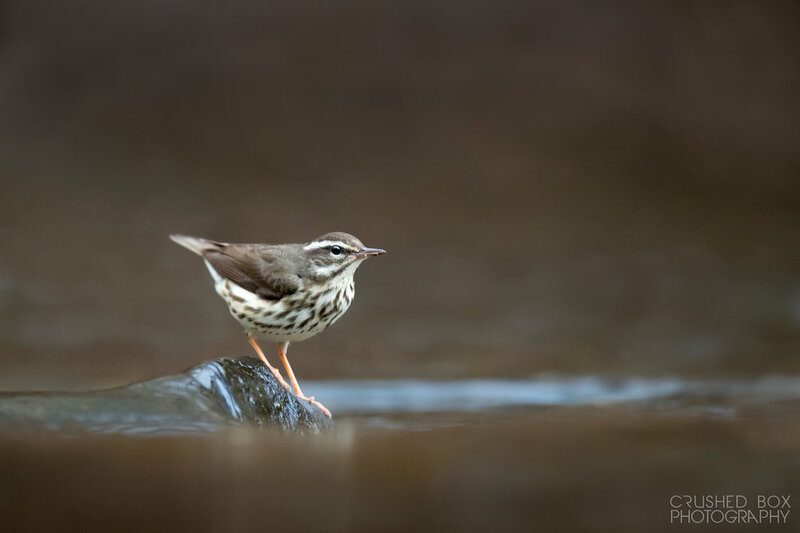 Not knowing the call of the Louisiana Waterthrush since I'd never seen one before I was curious as to what I was listening to. I followed the non-stop calling which lead me to a small creek and there it was, the exact bird I was looking for! I could not believe it, this isn't supposed to be this easy! I spent the next two hours laying along the edge of this small creek photographing this fun warbler. It really enjoyed landing on the small and large boulders scattered about the creek and searching for aquatic critters to eat. The habitat made for some very unique warbler photos and I had a blast with my first time photographing this species. 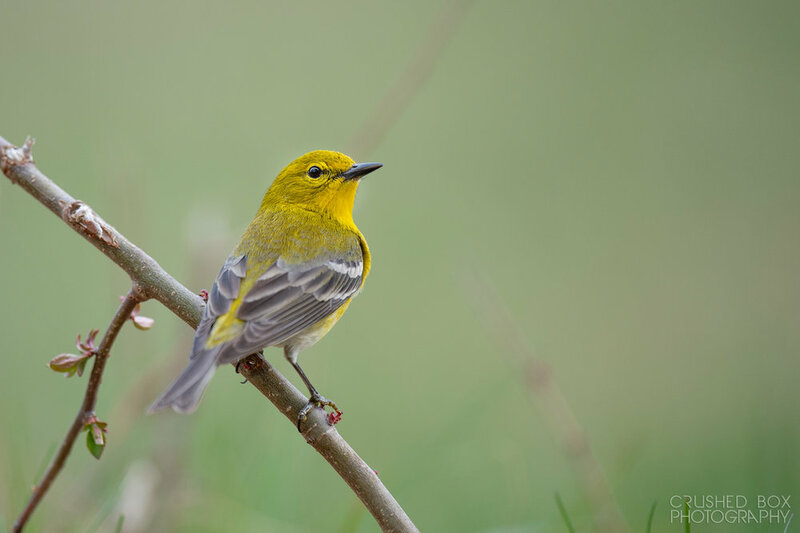 I wrapped up with that bird and then moved to another area and spent a little time photographing Pine Warblers in an open grassy field. It was only mid April and I was already having a wonderful warbler season. How Important is a Technically Perfect Wildlife Photo?